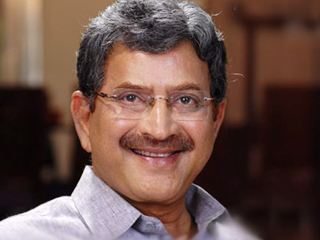 Superstar Ghattamaneni Krishna will be celebrating his 70th birthday today (May 31). The actor was once one of the leading heroes of Tollywod during the 70′s and 80′s and received accolades for his performances from all the classes. Krishna also directed and produced several super hit films under Padmalaya Film Studios; a production house owned by him, and he subsequently has carved a niche for himself in Tollywood. Born on May 31, 1943 in Burripalem in Guntur dt, Krishna made his Telugu cinema debut in “Tene Manasulu” (1965) – the first color social movie in Telugu. Krishna enacted in more than 300 films and was accredited with introducing many technological ‘firsts’ in Telugu cinema industry – first cinemascope movie ( Alluri Seetharama Raju), first 70mm movie ( Simhasanam), first James Bond film (Gudachari 116) and cowboy movie (Mosagallaki Mosagadu) in the year 1971). Please join hands with us to wish superstar Krishna a very happy birthday.